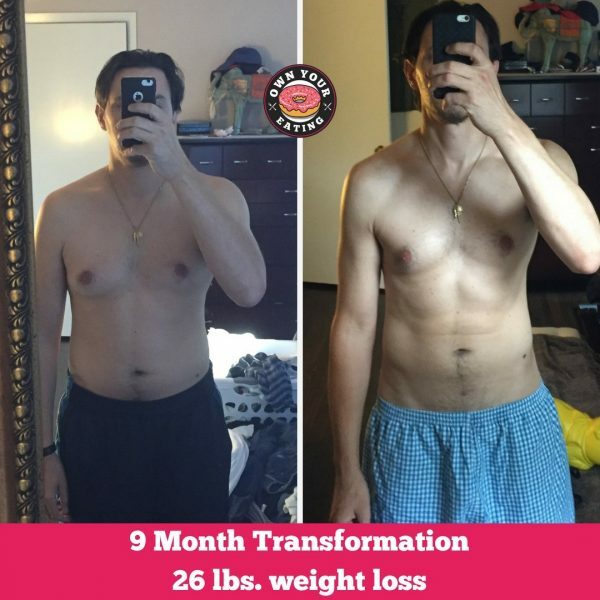 Check out this week’s amazing transformation progress from Nicholas DeCicco! This father of two boys, was inspired to embark on this journey for himself and his family as he approaches 40. After hitting an all time high of 212 lbs. and struggling with sustainable weight loss he decided to give flexible eating a try. Read on to find out about his struggles and victories over the last 9 months. Despite having a solid workout routine and being in the military, Andé struggled to make any progress towards her weight loss and body composition goals. Like many people out there, ourselves included, she discovered that exercise alone will not transform your body. The way your body looks, feels and performs is directly correlated to your nutrition. Andé’s nutrition wasn’t “bad” per se – although she was definitely guilty of not eating enough – but it wasn’t balanced either. As soon as that changed, so did her body. 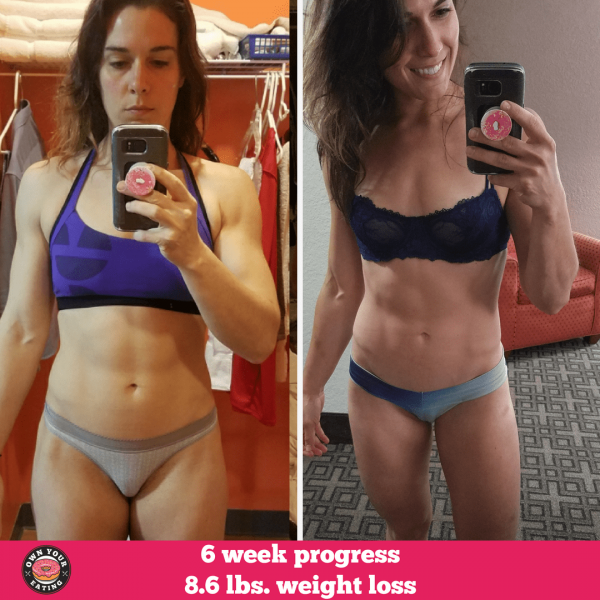 Liz has been making amazing progress on our Lifestyle Premium program that even though she’s only 6 weeks in, we just had to give her a shout out! Liz wasn’t new to tracking but in all her time doing macros she had never gotten her body to where she wanted it to be. That’s when Liz found us! What’s lead to her having such amazing progress? What’s her story? Read on to find out more! 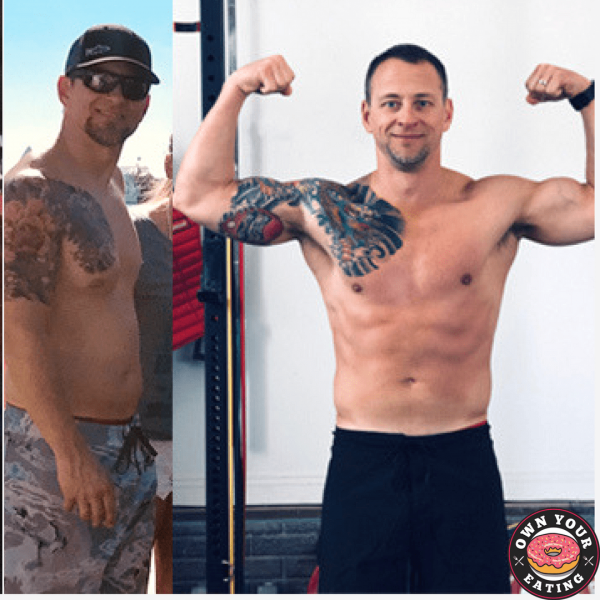 Every so often we take a break from the usual Jason and Roz shenanigans to present an interview with someone that has made life changing progress with Own Your Eating. 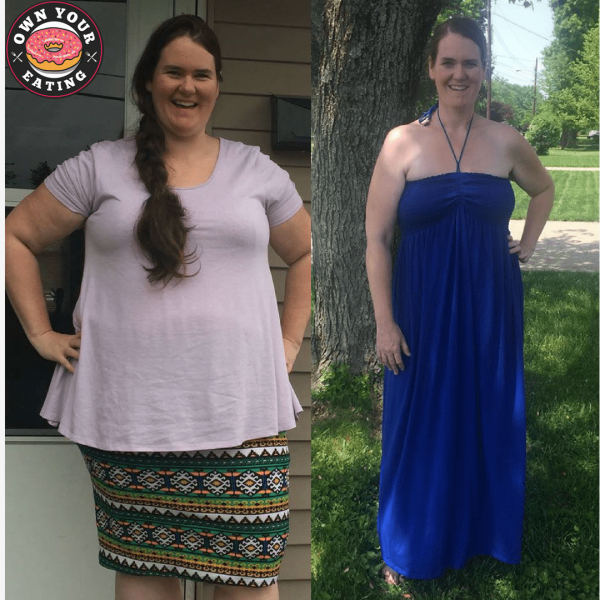 In this episode Molly discusses how she has lost 42lbs and actually kept it off. 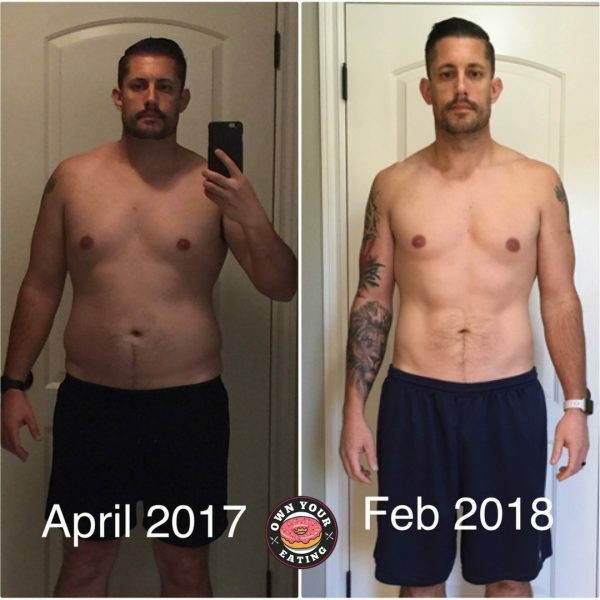 Ryan has lost 39 lbs. in just under a year and reduced his body fat composition from 32% to 11.3%! That’s phenomenal! Find out why, what, when & how Ryan made this lifestyle work all whilst enjoying things like vacations to Mexico, anniversary celebrations & getting ice cream with his 2 young kids. We’re so proud of Ryan and his incredible transformation! We met Margaret back in the summer of 2017 when we stopped in at Goose Island CrossFit, Chicago as part of our nutrition seminar tour. This was right before Jason was judging at the CrossFit Games in Madison! 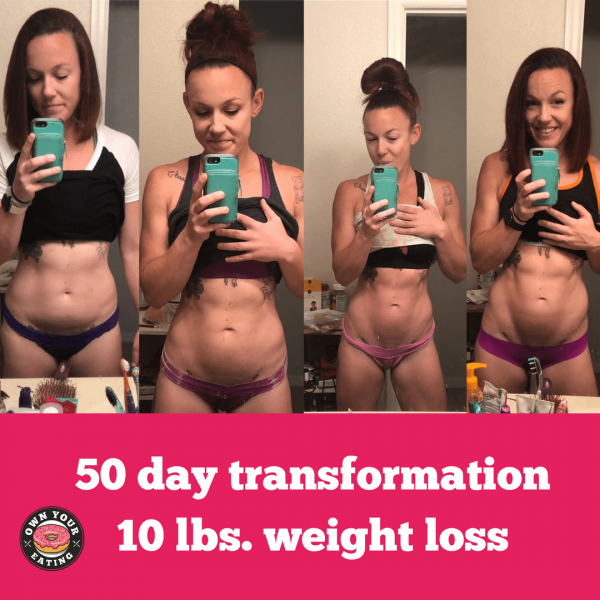 In just 50 days Staci has lost 10 lbs. of body fat! 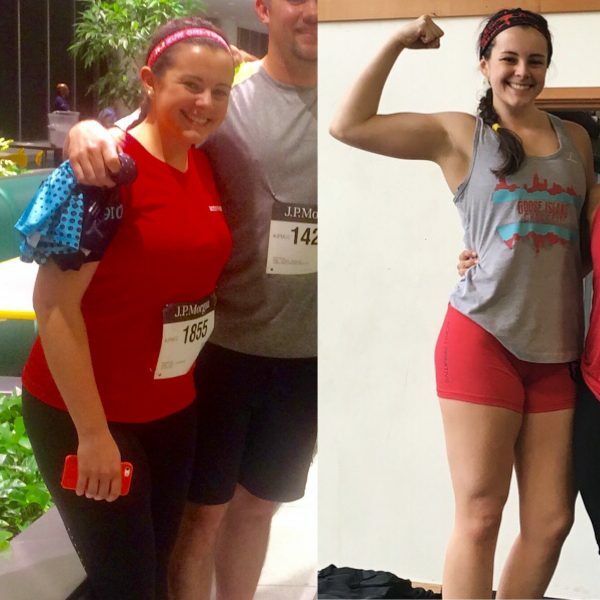 Just take a look at her amazing transformation picture! Staci found out about us from her box CrossFit MDI in Orlando, aka “Adult Disney”. We have done several seminars now at CrossFit MDI and love stopping by when we’re in the area to workout in one of the most motivating environments you can imagine. Check it out next time you’re in town! In the meantime, read on to find out how Staci has had such great success with our program. We are completely amazed by her progress. Keep at it girl! Jerry’s Transformation – From rehab to the gym. How Jerry lost over 100lbs. Jerry’s transformation is particularly special to me because we have known each other for over 20 years now. We met freshmen year of college playing Rugby together and then pledged the same fraternity, Tau Kappa Epsilon. We were great friends sharing a bond over partying hard, watching wrestling, and hitting the weight room. For me, the partying ended upon graduation in 2000, but for Jerry it kept going. Ultimately in 2017 he checked into rehab (not his first time) for the last time. When I saw him at our seminar he could barely walk up a flight of stairs. Recently he trained for and finished a 5k run! 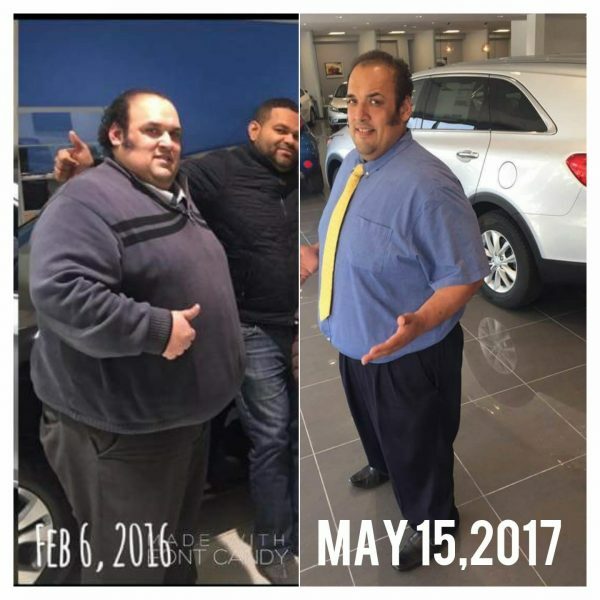 This is Jerry’s story of how he lost 100 lbs. with Own Your Eating. Huge props to Justin on his amazing transformation to date! We know he’s only going to continue to make improvements to his body composition and his performance in the gym. We’d love to take credit for the results but we all know that’s not how this works! Yes we’re here to support you and keep you accountable, but Justin wouldn’t be where he is today if he wasn’t being consistent and honest. Find out more about Justin’s experience with flexible eating and Own Your Eating.